Vaska is an all natural botanically based laundry care line. Just thinking about the remnants and potential irritants that detergents can leave behind gives me the heeby-jeebies! On a daily basis we are coming in contact with detergents, whether it be wiping our faces with a towel, drying off our bodies with another and sleeping on bedsheets/pillowcases. We all deserve to sleep and dry safely... so I have switched to Vaska. No I am not being paid to write this review. I will forever use this product! I especially feel at ease knowing it doesn't irritate my newborn's skin. Poppy is now 11 weeks old and she has no reactions to this "herbatergent"! 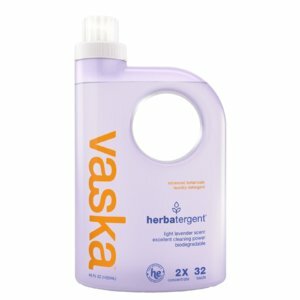 The Vaska formula uses real herbs to clean effectively without the use of harsh chemicals. The patented Herbatergent is created with a hypoallergenic formula that uses natural herbal cleaning agents to wash sheets, towels and even baby clothes effectively while not harming the planet or your skin. I can't get enough, it's so addicting! 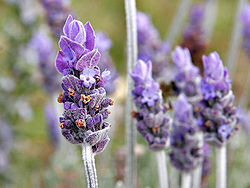 The subtle lavender scent has my baby girl's clothes smelling so fresh and clean... I actually get excited to wash her clothes! No joke. Vaska products are available at Duane Reade, Amazon.com, Alice.com and Drugstore.com.